Wilson Electronics plug-and-play Universal Sleek helps users reduce dropped calls, increases data rates in weak signal areas and originate calls in "dead spots". The Sleek along with an external vehicular antenna will increase your phones output power to the cell cite while improving its ability to hear signals it normally cannot, keeping your cell phone more reliably connected to the nearest tower. Designed for simple set up the Sleek can be easily moved from vehicle to vehicle. Built into the Sleek cradle is a Wilson bi-directional signal amplifier and battery charging port. The cradle is ideal for hands free operation in conjunction with a user's headset or Bluetooth device. Here's how the Wilson Sleek system works: A Wilson magnetic mount antenna mounted on the outside of your vehicle communicates with the cell site, and the built-in Sleek cradle amplifier booster communicates with your cell phone. The outside antenna collects weak cellular signals and sends them to the amplifier. 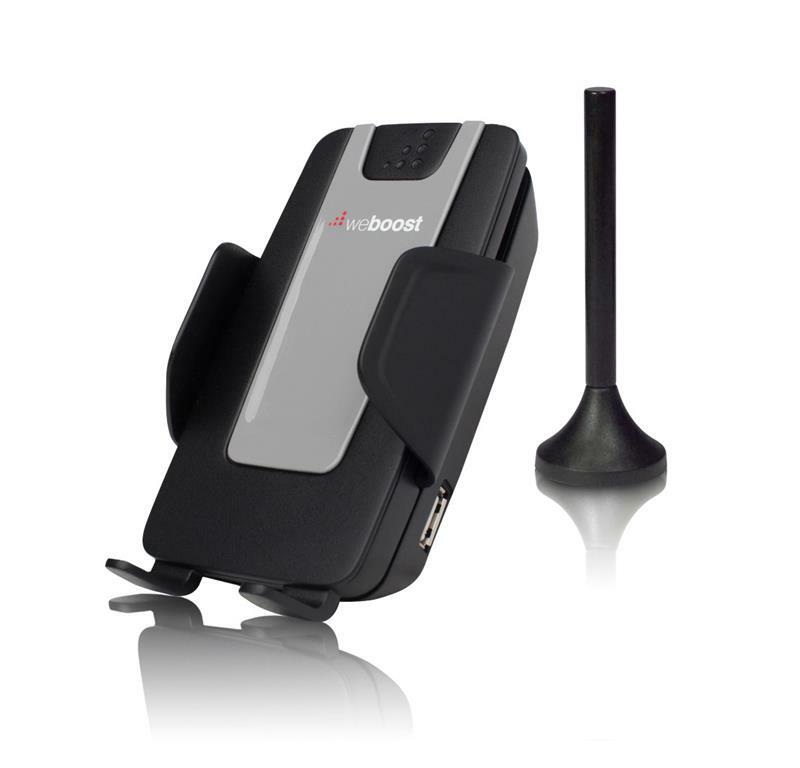 The amplifier boosts those signals and sends transmits them through the cradle amplifier/booster, significantly improving the performance of your phone.